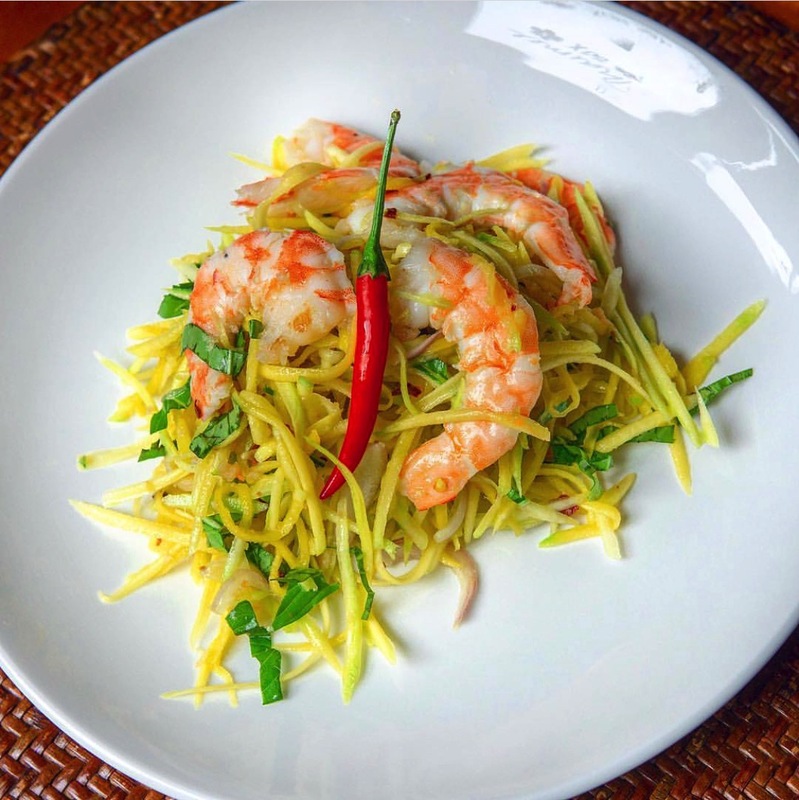 Grated green mango and shrimp tossed with Chrouk Metae and Thai basil; a mouthwatering salad for a hot summer day. Prepare Dressing: Combine Chrouk Metae, fish sauce and palm sugar, mix well and set aside. Saute Shrimp: Saute shrimp with shell-on in 1 teaspoon of oil and a dash of salt. Peel, slice lengthwise and devein. Chill for at least an hour. Mango: Peel, grate and chill for at least an hour. Toss just before serving: Reserve some shrimp for garnish, place all ingredients in a large bowl, mix well.